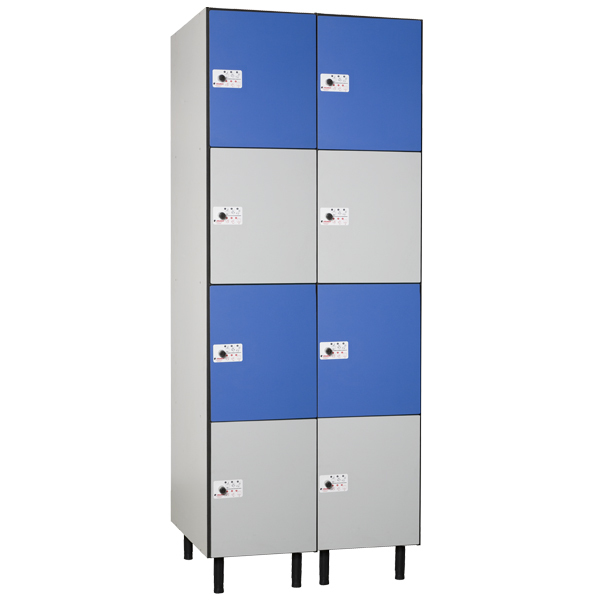 Body and interior manufactured of hydrophobic board of 16 mm thickness and coverd with melamine. 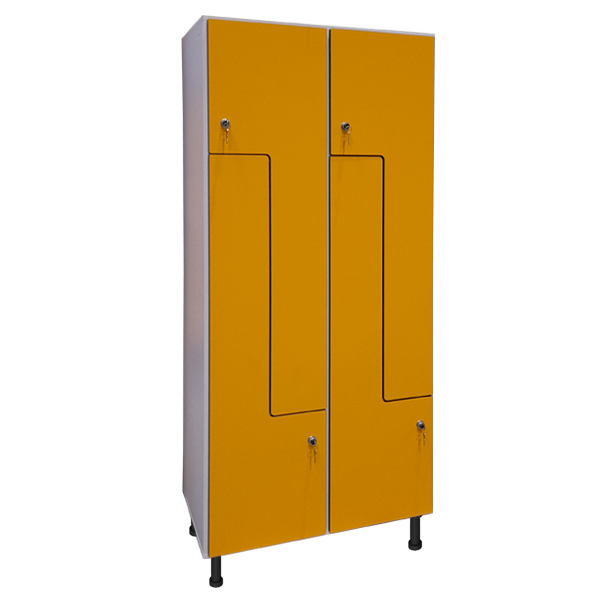 Doors in "L"-Shape manufactured in HPL. 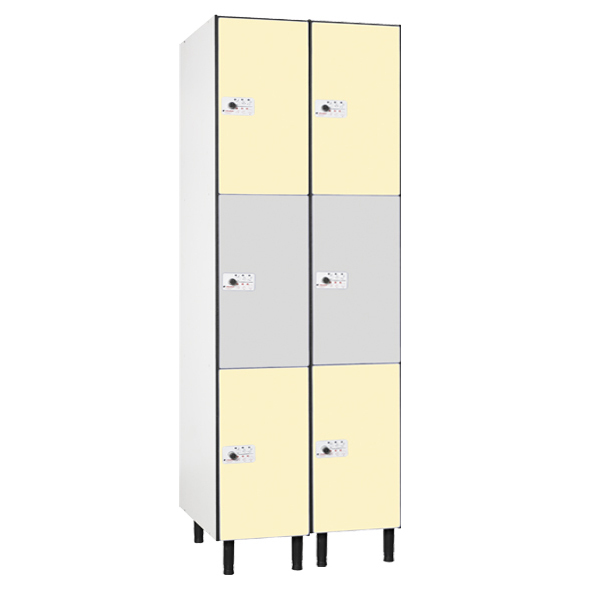 Body in white melamine and doors according to colour options. Back panels in perforated tablex. Latch operated locks with removable cylinder and master key. 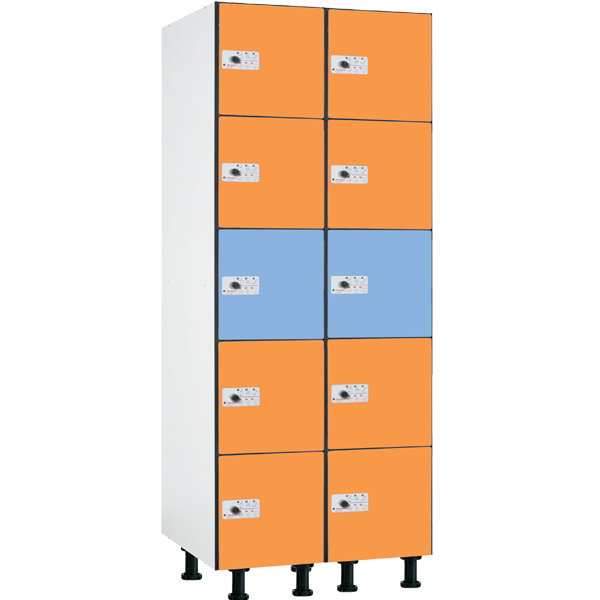 Locker includes aluminium coat rods with two hooks. 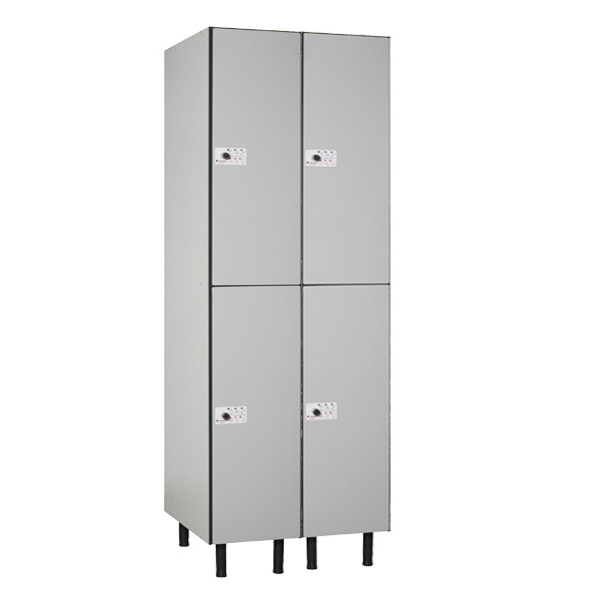 Dimensions: 1800 Height x 800 Width x 500 Depth.